IMAGEhost is The Crowley Company’s innovative software and image hosting system that allows users to easily access scanned microfilm rolls or microfiche sheets in their original format. Using any internet-connected desktop, laptop, tablet or smartphone, IMAGEhost is the key to digital image accessibility from any location. Make the physical world digitally accessible – from anywhere. Using the industry-leading Mekel Technology capture expertise, IMAGEhost allows owners of images scanned with QuantumScan to view, print, save or send images from their workstation, home or on the road. It’s no longer necessary to be on-premise to view microfilm or microfiche images that are crucial for research, operations or other functions. UPDATE: IMAGEhost now also hosts microfilm and microfiche images captured on Wicks and Wilson production scanners. Working from three key components – access to image repositories, an indexed database and the IMAGEhost operating program – IMAGEhost maximizes initial capture investment by offering password-protected full image exposure to any network, client or patron base. IMAGEhost is offered as either a host-and-share platform or as a software package that can integrate seamlessly into an existing infrastructure, maximizing the time-to-use solution. For detailed information, visit the IMAGEhost portal or watch this short video. 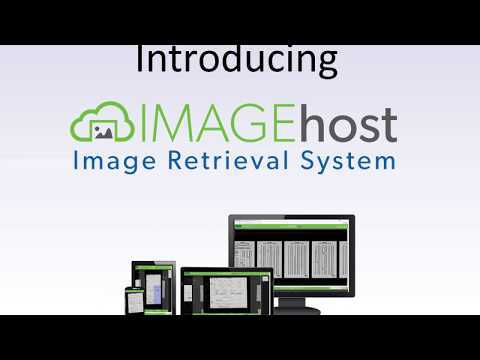 For a demonstration or to discuss IMAGEhost options for your collection(s), contact us today.